We’ve all heard the old adage, “Crime doesn’t pay.” While it’s a phrase commonly used to discourage someone from considering a life of crime, the phrase could also apply equally to careers in law enforcement. No one goes into law enforcement expecting to become wealthy. It’s a career sought by those with a passion for justice and service to his fellow man. It’s a way to make a lasting, positive impact on society and ensure the safety and security of our communities. Unfortunately for most officers, choosing a career in law enforcement also means resigning themselves to lifetime of under-appreciation and low wages. 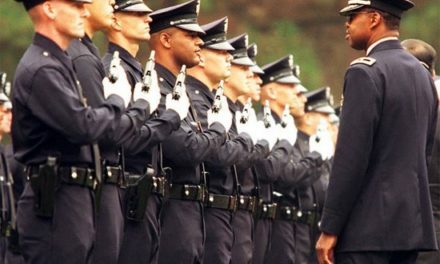 According to the job-search website Indeed.com, the average police salary nationwide is $43,000 per year. This number has been steadily declining over the past two years. The most likely reason for this decline is the economic recession. With cities, counties, and states finding their budgets more and more restricted, they are forced to find places to trim the budget. For some reason, unfortunately, the first place many look for cuts are the wages of public servants such as teachers, firefighters, and of course, police. With a divorce rate of 75% amongst the law enforcement community, many officers find themselves trying to support two households through child support and sometimes alimony payments. Due to their low wages, this leads many officers to seek second and sometimes even third jobs, making them overworked and exhausted. This, combined with the heavy weight of financial stress, undoubtedly leaves them distracted, less sharp, and less effective in their primary role as a law enforcement officer. They may be more likely to take risks or find themselves in situations that compromise their safety or even the safety of the public. It is, without question, a far from ideal situation. What can we do to combat this trend of overworked, underpaid law enforcement officers? In some places, police unions use their collective bargaining power to fight for fair compensation and benefits for their members. However, not all locations have unions to fight for them. 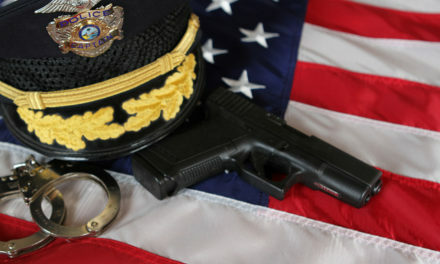 Others look to national lobbying groups like the Fraternal Order of Police (FOP) to help them champion their cause. Police in the South American country of Bolivia recently rebelled against their own government in what some news outlets have described as a “violent mutiny (Reuters).” The Bolivian police force fought their government for a satisfactory pay deal. Earlier this week, they rejected a deal that had left lower-ranking officers unsatisfied. After five days of rebellion, a deal was finally reached. On Wednesday of this week, the officers returned to work and normal police services resumed. However, the rebellion came with a steep cost; dozens of officers were injured and several police stations were destroyed in the course of the mutiny, leaving one to wonder if the Bolivian police cut off their nose to spite their face. The kinds of action seen in the Bolivian police rebellion are ill-advised for American law enforcement services. Local, state, and federal laws prohibit the destruction of property, with heftier penalties for offenses against properties that are government-owned. Undoubtedly, charges would be filed against anyone who had any part in the injury of another officer. It would be unlikely for an American public to support these kinds of actions in the name of better wages, and the law enforcement community would forever be blighted in the public eye. However, it does beg the question, are there more civil ways to demand better pay of our governments? I live in Charlotte, NC, where step increases for police and firefighters have been frozen for years while benefits continue to decrease. When our city council ignored the recommendations of the FOP year after year, I decided to take a stand. I started an online petition that collected 1,037 signatures in just two weeks, with each signature triggering an email to all the members of city council. Finally, this past Monday, city council passed a budget that includes the raises and the reinstatement of step increases for all city employees effective July 1st of this year. This victory sent a clear message: if the police will stand up for themselves, the community will stand with them. Police pay will always be an issue. We live in a society that would rather see money spent on improvement projects and direct reinvestment in the citizens. People, in general, do not like to think about the need for police services, yet they want them to respond immediately when the need for help arises. Whether it be through unions, lobbying groups, or the power of their own voices, police will always need to fight for fair compensation for the indispensible services they provide, but they point is that they can fight, and change can and will happen. Overcoming an ASI – Protect and Serve!